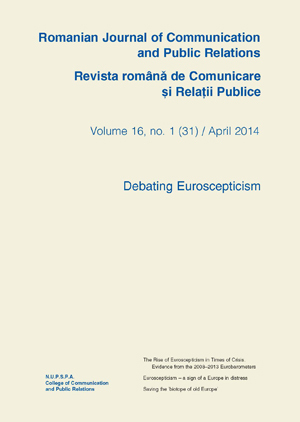 RJCPR is a an interdisciplinary, academic journal which publishes scholarly contributions from the broad area of communication studies, from public relations research, as well as from related fields. The Journal is edited by the Center for Research in Communication at the College of Communication and Public Relations in Bucharest, Romania. It has three issues each year and it follows an open access policy. RJCPR is indexed in the following international research databases: EBSCO, ProQuest, DOAJ, CEEOL, ERIH Plus, Index Copernicus, Cabell's, and Genamics Journal Seek. RJCPR is included in the B+ category, according to the ranking system of the Romanian Council of Higher Education Scientific Research (CNCSIS).